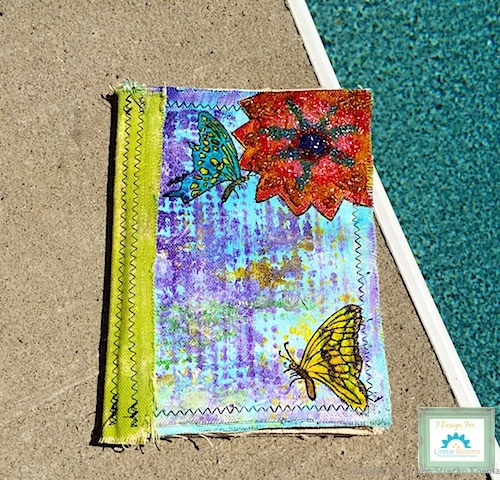 How to Change a plain cover of a new book or journal with some love and a little paint. That is what I want to share with you today. 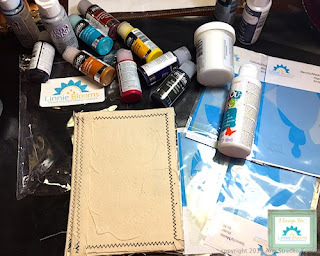 Hi, thanks for stopping by and checking out how I took an unfinished canvas journal and made it my own. Today over at the Linnie Blooms Blog where I am one of the Designers I posted this project that I made for them. I truly enjoy working with LB and their products, so this is not a chore for me! One of the reasons I like Linnie Blooms in addition to the great products is the fact that they donate 1% of their sales to charity to help in the Mental Health Awareness campaign, a cause I am totally in support of. Here is the journal cover I decorated with some other fabulous products made by the DecoArt® Company. Now this company also has a wonderful program: the Helping Artist program which actually helps to support the creativity of artists such as myself and a whole big lot of them! It is worth checking out. "DecoArt® One Step Crackling Medium"
Thanks for checking in today, and come back soon!